ThinkDigital and OgilvyOne have devised on behalf of Dercos NEOGENIC by Vichy, a multifaceted campaign on MSN.gr which effectively integrates advertising with content. To offer content that is native to the look and feel of the website and provides value to the reader, MSN.gr added a special section eloquently titled, “Hall of Hair”, with relevant articles, photos and videos about the topic of hair loss and protection. Some of these were funny –e.g. the post on “how to address the issue of hair loss as a King”- whereas others were practical or more scientific. And users could find there interesting posts both for men and women. Additionally, the campaign was supported by impressive ad formats, like a homepage takeover and rich media banners on MSN’s popular “News” & “Women” sections. So far, the response from users has been overwhelming –a case study will follow soon- proving that Content Marketing and Native Advertising, when implemented with respect to audience’s needs, can be truly effective and a win-win situation for advertisers, publishers and readers. P.S. 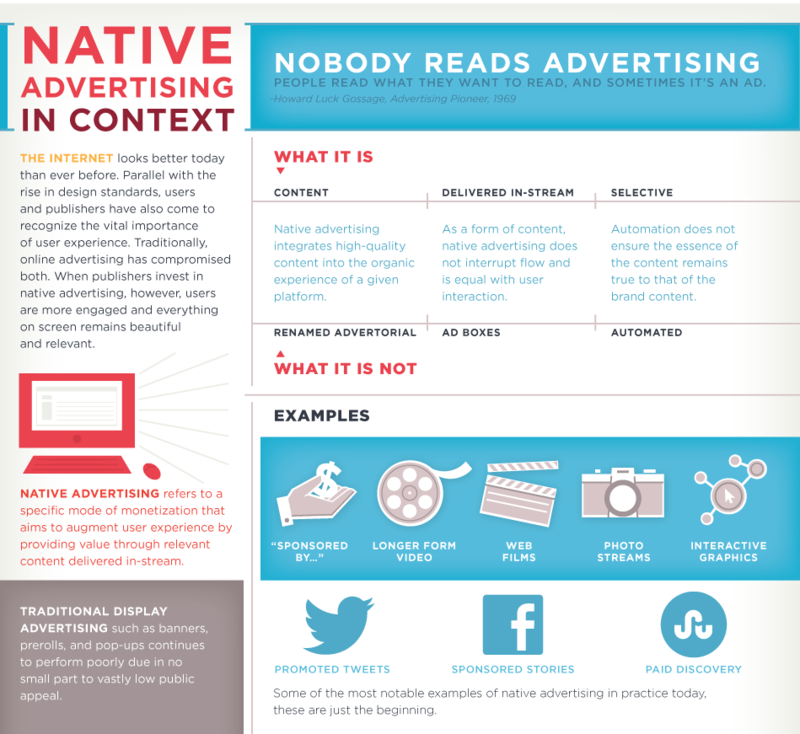 If you want to delve more into "Native Advertising", have a look at this interesting Adweek article by Pam Horan, the President of the Online Publishers Association and this insightful infographic by Adrants.